According to Forbes magazine, Justin Bieber’s net worth is $83.5 million as of June 2017, thanks in large part to a successful live tour and his Calvin Klein endorsement deal. Celebrity Net Worth puts Bieber’s net worth at much more — $265 million — from his music sales, merchandise, product endorsements, touring and other business ventures. The pair, however,have remained in touch on and off since their split. In November 2017, Bieber and Gomez were spotted together publicly several times, stoking rumors that they had gotten back together and were trying to work things out. Bieber’s debut album, My World, hit stores in November 2009, selling more than 137,000 copies within a week. In 2010, Bieber released My World 2.0 (2010), which offered his growing fan base 10 new songs. Never Say Never was released in 2011, with a holiday album, Under the Mistletoe, coming out the same year. In 2012, the album Believe was released, which sold 374,000 albums in its first week and a year later, Journals, a downbeat album without a hit single. Bieber made a big comeback in 2015 with his album Purpose, which became his fifth million-selling record in the U.S. by the end of the year. Bieber had another hit single in April 2012 with "Boyfriend," which appeared on his 2012 albumBelieve. 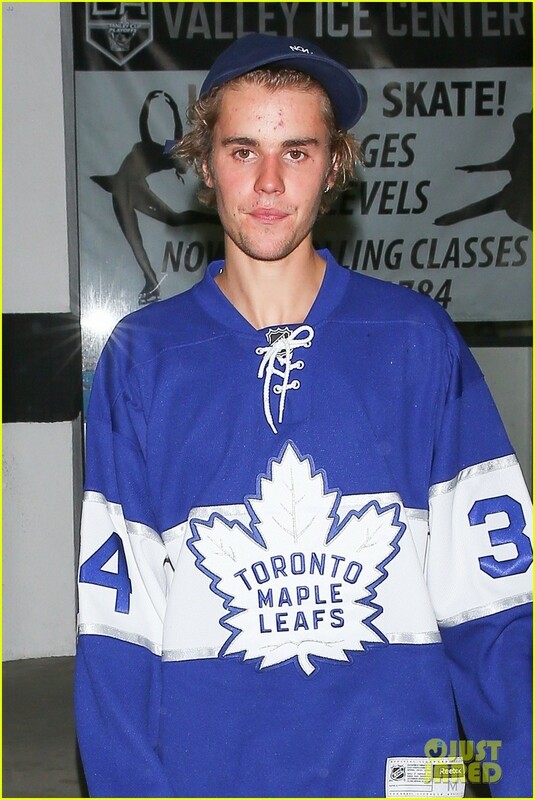 Justin Bieber has said he’s 5-foot-9-inches tall.However based on photographs of the star next to other celebrities, there has been speculation that he measures in at 5-foot-7-inches. In February 2016, Justin told GQ magazine, “I’m a lot closer to my dad than I am to my mum.” In April, Justin attended his dad’s party to celebrate Jeremy’s engagement to girlfriend ChelseyRebelow. In 2011, Bieber took to the big screen in the concert documentary Never Say Never. His fans crowded movie theaters to catch him in action on stage and get a glimpse of his life behind the scenes. The movie, which eventually earned more than $73 million at the box office, also had guest appearances by Kanye West, Miley Cyrusand Bieber's musical mentor Usher. While still only in his teens, Bieber survived his first public scandal. A woman filed suit against Bieber in 2011, claiming that he was the father of her child. But a DNA test proved that the young pop star was not the father and the woman dropped her lawsuit. Bieber sang about the scandal in the song "Maria." That was only the beginning of a string of scandals, bad behavior and unfavorable press for the young pop artist. In March 2013, Bieber's neighbor accused the singer of spitting on him, in addition to making threatening comments. Two months later, denizens of Bieber's neighborhood in Calabasas, California, complained that he was driving too fast in a residential area. Dear Beliebers, don’t let the fakes fan represent ups, Let’s unite..
and show Justin that we love support respect him and his family... Also, Stay tuned for JB5! Fresh off their trip to Cabo San Lucas, Justin Bieber and Selena Gomez worked up a sweat on Wednesday when they attended a Pilates class at Hot Pilates in West Hollywood. A source tells E! News that the high-profile duo took a private class with the owner of the studio. The insider also said that Selena frequents Hot Pilates weekly with her close friends and has been trying to get Justin to try the workout for a while. The insider also added that Selena was excited that Bieber was willing to come with her, and added that they had "a blast." Despite the workout being "very challenging" given the intense heat, Justin "loved" it, said the source. For the workout, the sultry singer donned a Puma leggings, oversized white sweatshirt and a $455 pair of Garrett Leight sunglasses. The "Sorry" singer wore a white tank top and white basketball shorts for his Pilates sesh. Earlier in the week, multiple sources confirmed to E! News that the pop music superstars were able to meet up in Cabo Sunday night to celebrate New Year's Eve together. "Justin flew in to Cabo on a private jet from Cancun where he spent a few days with his family," an insider shared with E! News. "He arrived on Saturday evening and checked into an oceanfront villa 10 minutes away from Selena's villa where she was staying." Selena's crew of gal pals had a dinner party with a mariachi band Sunday night. And as it turns out, the "Baby" singer was able to stop by. "He and Selena spent time together again. They were very low-key and dressed casually," our source shared. "They rang in the New Year together and enjoyed watching fireworks over the ocean." Another source added, "Justin had a great New Year's Eve with Selena. He is looking forward to 2018 with her. It was a special evening shared with a few close friends in a beautiful place." Okay, although I don't particularly care about either of them, they do look cute together. It looks like Justin Bieber and Selena Gomez are still going strong! 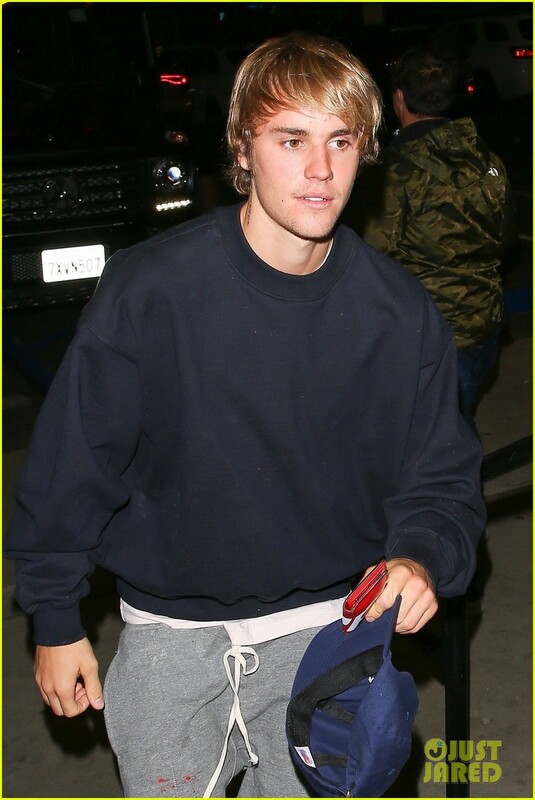 The 23-year-old entertainer and Selena, 25, were seen out and about together on Wednesday night (January 31) in Beverly Hills, Calif.
First, the pair hit up church together and were seen heading to Justin‘s car together afterwards. Later, Selena and Justin headed over to a hockey rink, where Justin played and Selena watched on from the stands. They later left in Justin‘s ride again. If you don’t know, Selena and Justin have been linked for several months after her split from The Weeknd.